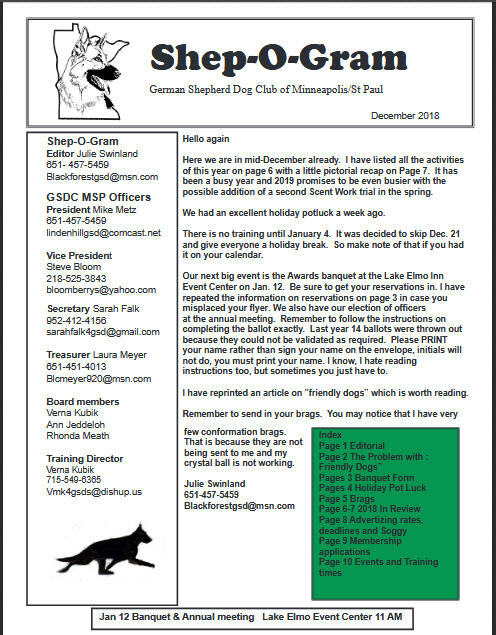 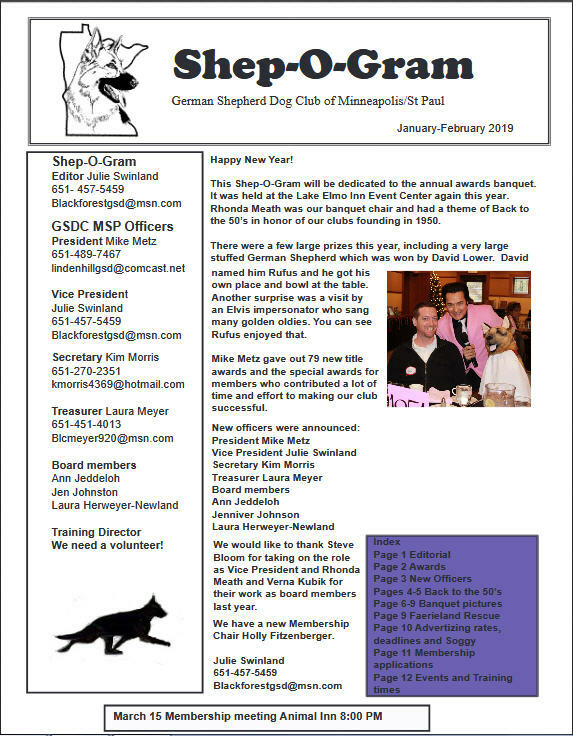 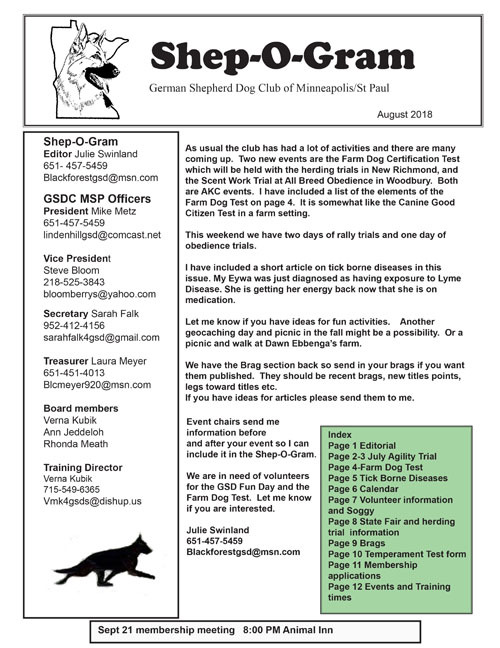 The GSDCMSP Shep-O-Gram is a monthly communication containing all information pertaining to the German Shepherd Club of Minneapolis & St. Paul. 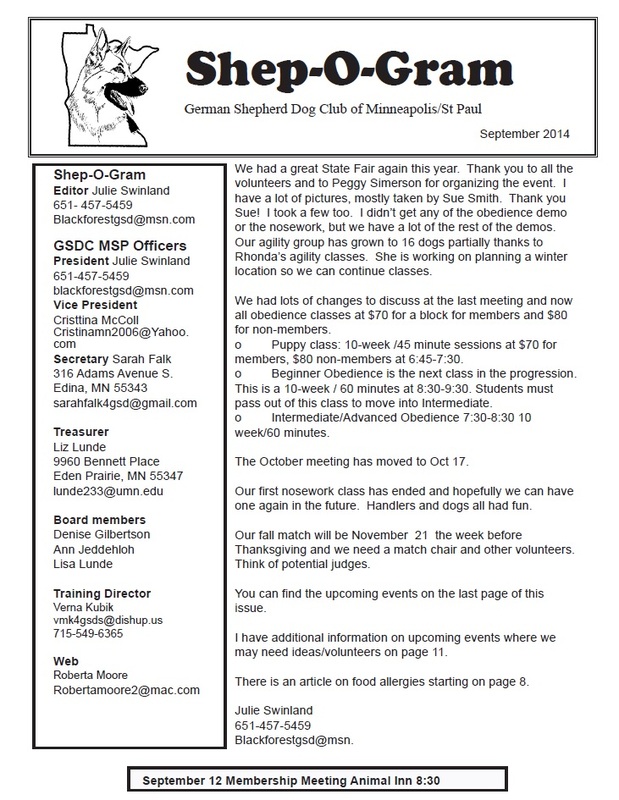 The Shep-O-Gram contains all minutes, omitting only the results of the annual election of judges. 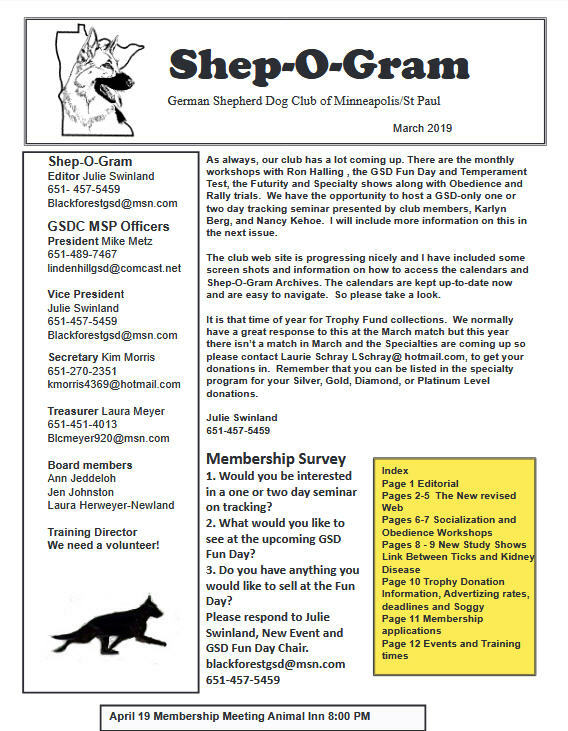 The Shep-O-Gram also includes Parent Club (German Shepherd Dog Club of America) information, meeting notices, GSDCMSP show and match results, member application status, schedule of upcoming events, litter announcements and brags for members in good standing. 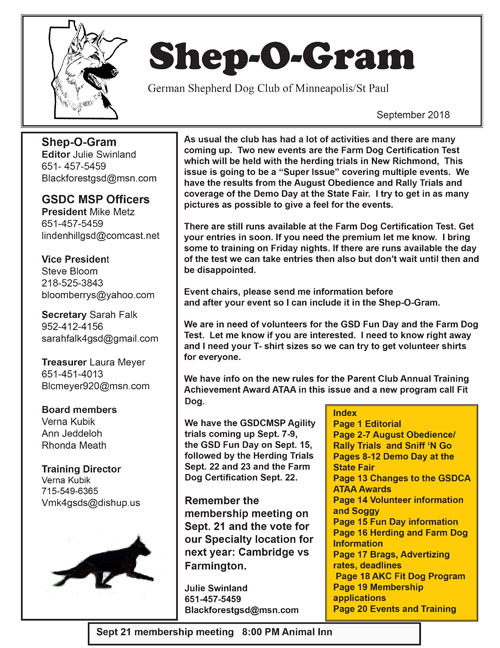 Only members in good standing can advertise their puppies for sale or post a litter announcement in the Shep-O-Gram. 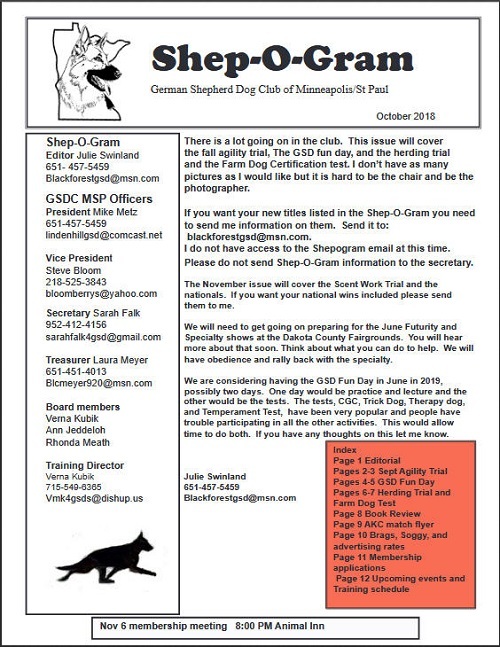 Advertising is limited to members in good standing of the GSDCMSP. 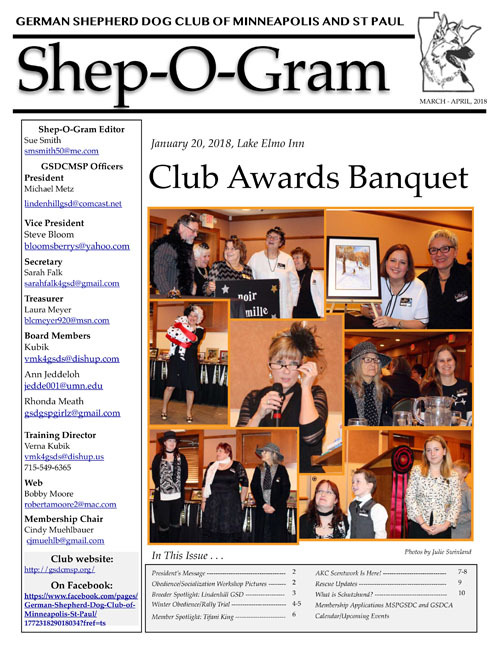 Any advertising by commercial business shall be allowed at the discretion of the editor of the Shep-O-Gram. 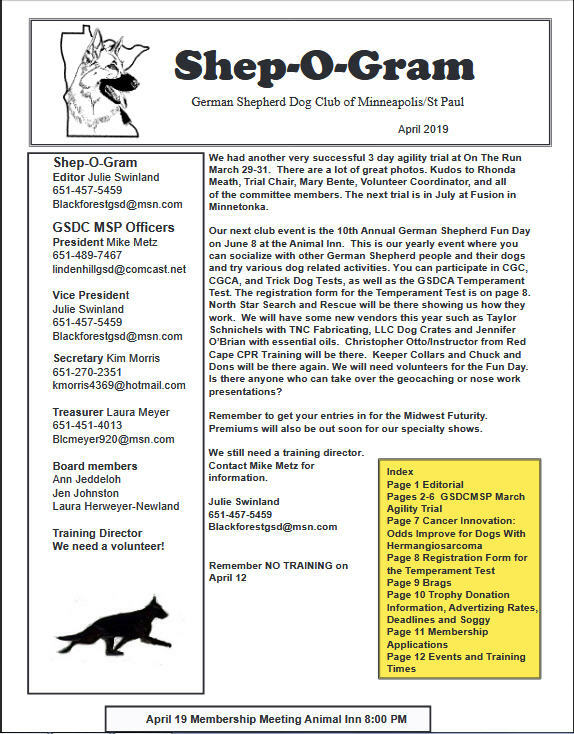 Any German Shepherd Dog owned by a club member is eligible for recognition in any club publication. 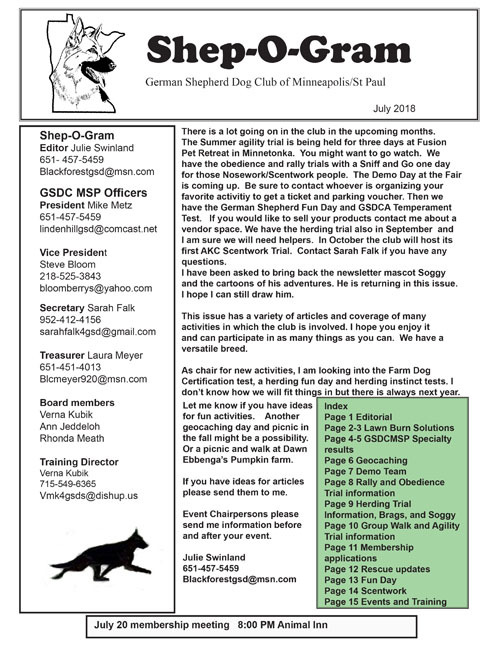 If you would like to submit an article or an announcement, please contact the Shep-O-Gram Editor, Julie Swinland.